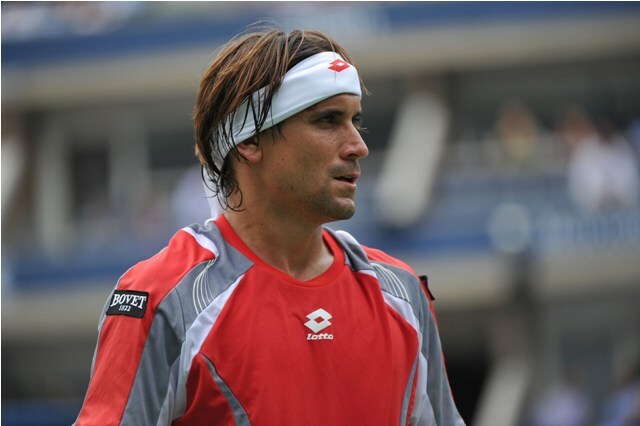 Once again defending champion David Ferrer (Player Profile) brushed aside his countryman Nicolas Almagro (Player Profile) to extend the head-to-head lead to 14-0 and progress into the Valencia Open final for the fifth time in career, claiming three titles along the way. Top seed Ferrer served spotlessly in the opening set in which he first broke in the fourth game before wrapping up the opener with the break number two. Third-seeded Almagro was playing with fire again in the fourth game of the following set as he had to deny the fellow-Spaniard a couple of break point chances before making it 2-2. However, he was just putting off the inevitable as Ferrer finally capitalized on his dominance by escaping to 5-3 and converted the first match point to close out the clash after one hour and nine minutes of play on hard court in the Agora arena. He landed his spot in tomorrow’s final with a 6-2, 6-3 victory and will be confident to retain the Valencia crown ahead of Sunday’s meeting with Mikhail Youzhny (Profile). For his part, the unseeded Russian is bidding for a second ATP trophy in 2013 after conquering Gstaad in July. The Valencia 2009 finalist – he lost the title clash to Andy Murray – got off to a shaky start against compatriot Dmitry Tursunov (Profile) as he fell a break behind early on, but turned the opener around in a stunning fashion by going on a five straight games run, stealing his rival’s serve three times en route to the first set victory. The second set has turned out to be a tighter affair with both athletes holding on to their service games until 5-4 when Tursunov was serving to stay in competition at the ATP World Tour 500 tournament, yet the nine-time ATP title holder Youzhny stepped up to defeat the fellow-Russian 6-2, 6-4. The 31-year-old will be aiming to succeed countryman Igor Andreev who is the only player to have beaten Ferrer in a Valencia Open final back in 2005. “I feel I served well and I’m happy to be back in the final,” Youzhny said after the encounter in which he misplaced only 28% of his first serves and won 70% of total service points.